Transport Scotland is set to award Balfour Beatty a £62-million ($80.4 million) design and build contract, a part of £96 million ($124 million) worth of investment to construct the second phase section of the A9 Dualling Programme, which will run from Luncarty to the Pass of Birnam. The contract will be the second to be awarded as part of the Scottish Government’s ambitious £3-billion ($3.8 billion) programme to dual the A9 between Perth and Inverness. It follows the completion of the first section from Kincraig to Dalraddy which became fully operational in September 2017. This marks the final phase in the procurement process, which subject to the successful completion of the mandatory standstill period, it is expected that the contract will be awarded in the coming weeks, said a statement from Balfour Beatty. 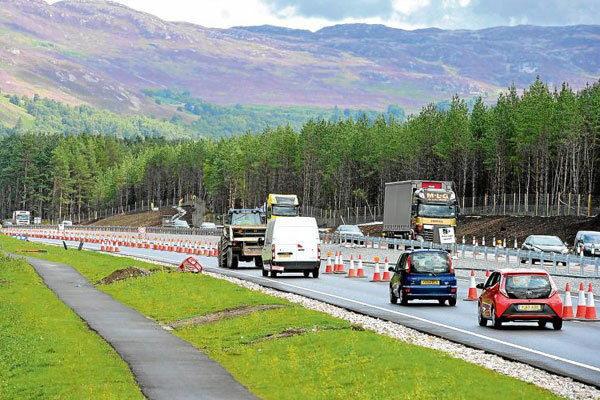 Upon completion of the A9 Luncarty to Pass of Birnam, road users will benefit from 15km of continuous dual carriageway from Inveralmond roundabout in Perth to the Pass of Birnam, it stated. In addition to the construction of 9.5km of new dual carriageway, the construction of the Luncarty to Pass of Birnam section will involve four new overbridges to maintain local access across the A9, the widening of one existing underbridge and the provision of a new side road bridge, said the statement from Balfour Beatty. As a result, the safety of the A9 will be improved by replacing at-grade junctions with grade separated junctions and providing safer overtaking opportunities along the route. Together, these improvements will reduce driver stress whilst improving journey times and overall operational effectiveness, it stated. "This investment will vastly improve connectivity between the Highland and Islands and Scotland’s central belt, delivering far reaching benefits to the wider Scottish economy," remarked Matheson. The dualling of the A9 will create hundreds of new jobs throughout the construction phases which will leave a lasting legacy of a highly-skilled workforce, bolstering Scotland’s construction industry. The project will also act as a catalyst to attract significant inward investment and stimulate continued growth of our business communities, especially the tourism industry along this key route. "The Scottish Government is committed to delivering this £3bn infrastructure improvement project to dual the A9 between Perth and Inverness by 2025," stated Matheson. Hector MacAulay, Balfour Beatty Managing Director for Scotland, said: "We are delighted to be part of the major programme to upgrade the A9."